The Marble Collection: Massachusetts High School Magazine of the Arts is a quarterly publication whose mission is to develop the artistic and academic aptitude of Massachusetts secondary students. IT IS INCREDIBLE! You don’t even have to be an aspiring writer to appreciate these poems, short stories, photographs and art by High School students from all over the Commonwealth. BUT, if you are a writer, you need to read this mag. I’ve only tackled the poetry so far, next the prose. Exceptional. 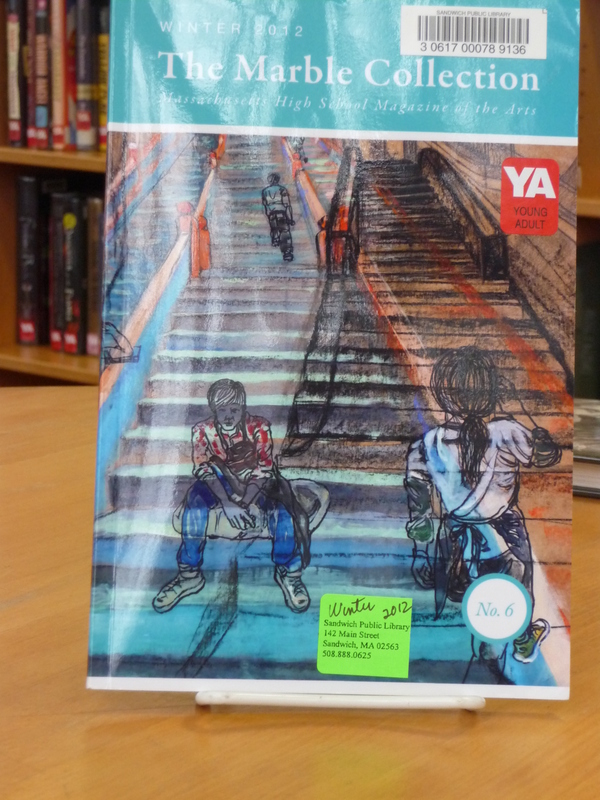 Recently we received copies of a self-published teen write magazine called “The Owl”. It, too, will soon be in the magazine collection. That one is a homegrown publication, and you can appreciate the energy that went into production to publication to delivery to the public. Support these Writers/Poets/Photographers/Artists of all Media! And finally, on a sad note. 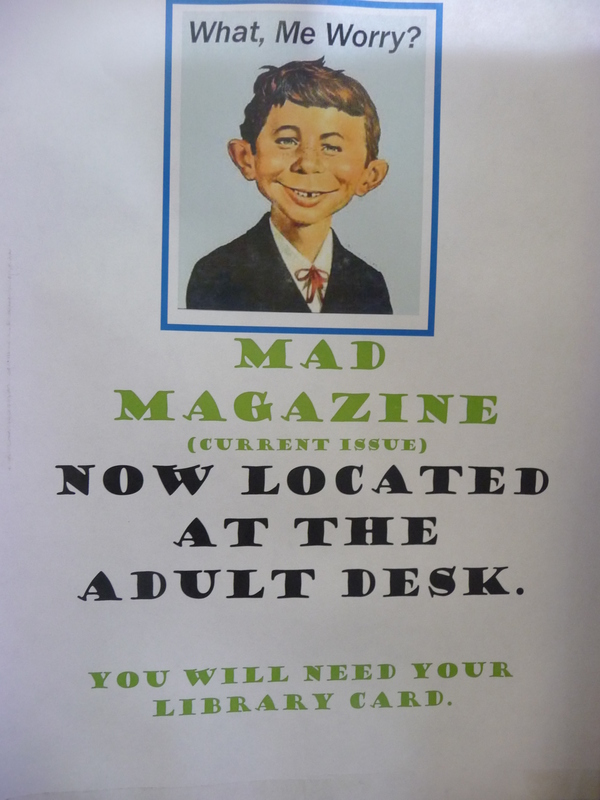 Our friend, Alfred P. Newman, has been sequestered at the Adult Desk due to numerous ‘pinchings’ of his publication, aka Mad Magazine. Alfred loves the notoriety but I hate loosing him so often, staring at an empty current copy magazine holder. Sigh. Just ask sheepishly at the Adult Desk for your friend, Alfred, until further zombie sightings or other cataclysmic events. Oh, you think this is just an event that has nothing to do with the teenage genre…so wrong. The Chinese Folk Art Workshop, Inc. is totally made up of teens. Check out the Sandwich Community TVs link to the event. Thank you! 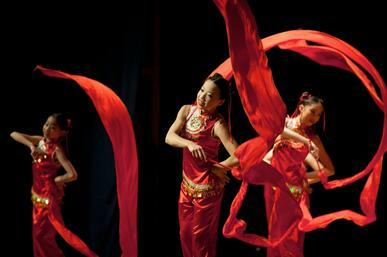 Go to the following page, and to performing arts. The program is a little over an hour-long.